Artist, Author, Poet and Storyteller, Loretta McClellan, paints the skies, earth, and water below with her music atop the pink granite outcroppings of Cadillac Mountain in celebration of Acadia National Park’s Centennial, composed and performed live on August 6, 2016. A peaceful tribute to “This Place” through the Native American flute in the key of G, Loretta’s heartfelt homage is rooted in gratitude. Happy 100th, Acadia National Park, for the profound beauty preserved for generations. Redtail Hawk flute in aromatic cedar by High Spirits Flutes. Videography, photography, direction, editing, and music by Loretta McClellan of www.McClellanCreative.com. 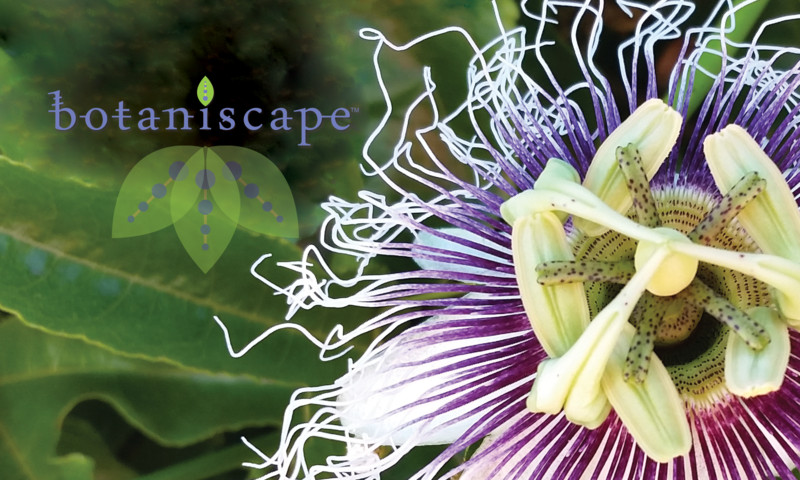 The heart of Botaniscape™, Lori McClellan views her lifelong connection to Nature and wonder manifested most fully—another exciting medium and source of abundant joy. A daily meditator and career Journalist, Author, Artist and Poet, she creates as Loretta Boyer McClellan. Her works as a publisher and writer of fiction, nonfiction and poetry; conscious PR, brand, graphic design, and communications; and as a Meditation and Self-healing Arts instructor, journalist and artist, “sized the canvas,” so to speak, for a fruitful life of expression, connection, and inspiration. Author of The Little Book of Everlasting Joy: 16 Pieces of Wisdom for our Time, The Nature of BEing: A Healing Journey, The Misthaven of Maine Series, and Dodging Raindrops: Poems and Prose of Beauty, Peace and Healing, Lori creates from a place of Oneness. Writing, meditating, painting, camping, and her relationship with Nature and all beings are her connection to the Infinite. 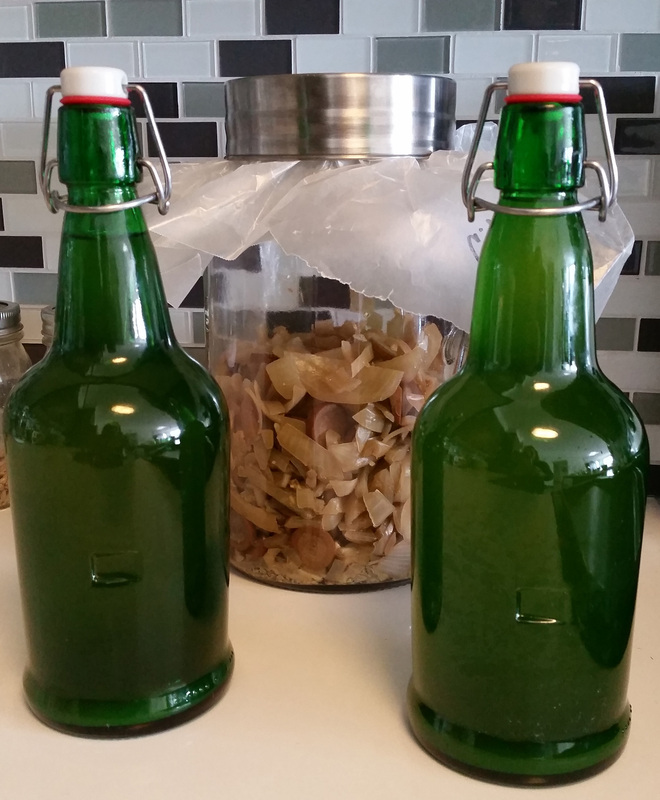 Homemade CiderCare™, a gallon’s-worth of bottled goodness of a Fire Cider-like tonic with Japanese herbal constituents for family use using repurposed bottles. Photo ©2018 Loretta McClellan; all rights reserved. CiderCare™ Gallon ©2018 Loretta McClellan; all rights reserved. It’s not for the faint of heart to make a gallon’s worth of “Fire Cider” herbal goodness, an herbal vinegar known as CiderCare™ at Botaniscape™ headquarters. Prepare for plenty of Kleenex®, as the olfactory senses will get a workout with all the chopped garlic, onions and ginger combined with organic, unfiltered apple cider vinegar. And that’s just the beginning of the herbal tradition that takes a turn toward Japan with the extra punch of fresh wasabi stem and nourishing gobo, also known as burdock root, or Arctium lappa. This batch was made serenaded by an evening of Mozart favorites, played on KDFC.com, as it is Mozart’s birthday! Happy Birthday Wolfgang! With the exception of adding black peppercorns to this large and bold statement of Food as Medicine, the recipe was basically tripled from the first batch made, which ran out during an epic cold/flu bout. This Japanese version was also based on Rosemary Gladstar’s recipe from her book, Medicinal Herbs: A Beginner’s Guide. Now it’s time to wait for three to four weeks to strain and enjoy per Rosemary’s recipe, or five weeks, if repetition from the last batch proves the intuitive choice. Disclaimer: The author is not a medical professional, nutritionist or dietician. Content on this website is for informational purposes only. It is not intended to substitute for legal advice, medical treatment or diagnosis and is not monitored or evaluated by the Food and Drug Administration/FDA. Consult your health care provider if you are experiencing any symptoms and before using any herbal product. When wildcrafting or foraging for plants, do so ethically; be accompanied by an expert; and always have absolute certainty of plant identification before using or consuming any herbs. Any application of the material provided is at the reader’s discretion and is his or her sole responsibility. The heart of Botaniscape™ and budding Herbalist/Wildcrafter, Lori McClellan sees the Art of Herbalism as her lifelong connection to Nature and wonder manifested most fully—another exciting medium and source of abundant joy. A daily meditator and career Journalist, Author, Artist and Poet, she creates as Loretta Boyer McClellan. Her works as a publisher and writer of fiction, nonfiction and poetry; conscious PR, brand, graphic design, and communications; and as an Arts instructor, journalist and artist, “sized the canvas,” so to speak, for a fruitful life of expression, connection and inspiration. Author of The Nature of BEing: A Healing Journey, The Misthaven of Maine Series, and Dodging Raindrops: Poems and Prose of Beauty, Peace and Healing, Lori creates from a place of Oneness. Writing, meditating, painting, and her relationship with Nature and all beings, most tangibly through Herbalism, are her connection to the Infinite.